SleuthSayers has entertained open-ended discussions by readers and writers about when (and whether) to use actual place names. This decision ultimately comes down to the rôle location plays in a story and the inclinations of the author. Recently, I came across an example where I wondered why a popular author chose not only to fabricate (or ‘re-imagine’) a real place, but real people. 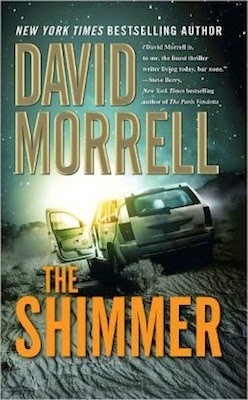 A friend gave me a tattered copied of Shimmer by thriller author David Morrell, a writer admired by our own David Edgerley Gates. Suffused with a Dean Koontz-like inexplicable supernatural presence, its genre is difficult to classify– not exactly science fiction, not paranormal, not quite a crime novel. The premise draws a reader in: without explanation, wife leaves cop husband, stops en route to her mother to visit a ‘lights in the sky’ phenomena, and subsequently all hell breaks loose. Although this mysterious phenomenon exerts an amorally moral force over people and events, it remains unexplained, which happens to work in this case. Morrell would probably agree Shimmer isn’t his best novel, but it’s worthwhile. Initially the novel’s speech tags disconcerted me. Although I’m not overly religious about them, I’m with the group that tries to avoid speech ‘assists’. For the first few chapters, my eye stopped every time I encountered one until the plot eventually captured my attention and moved on. And that’s the hallmark: capturing a reader’s attention. The West Texas town of Rostov had a genuine feeling that made it seem it was based upon a real community. At times authors base locales on real settings but, because of minor liberties with details, change the names. Rostov felt like that. The story referred to a movie ‘Birthright’, filmed in that area. 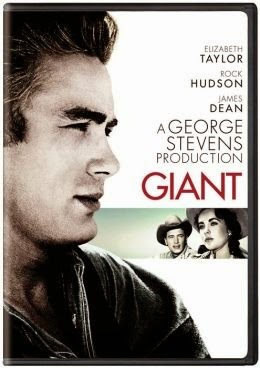 By the second mention of its actor James Deacon, I began to wonder if the author was making an oblique reference to James Dean, if Birthright was actually the 1956 film Giant, and if ‘Rostov’ was Marfa, Texas. Each subsequent revelation convinced me ‘Deacon’ was a stand-in for Dean, finally confirmed in the afterword. Indeed, most of the details (except the age of Rock Hudson) appeared to be accurate. Bear in mind these were passing mentions, not actual characters. So why invent James ‘Deacon’ when we could have learned details about James Dean himself? Why indeed? 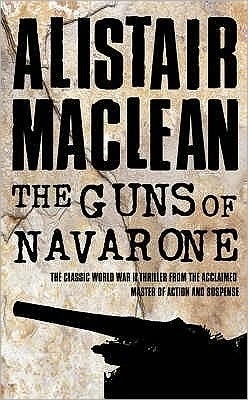 When I was a kid, I read Alistair MacLean’s novel, The Guns of Navarone, inspired by the actual Battle of Leros following the fall of Rhodes in the Dodecanese Campaign. One of the central characters was a New Zealand adventurer in his early 20s, a WW-II soldier and world-class mountaineer, chosen to scale the impassible south cliff and sabotage an impregnable Nazi fortress. Not long after, I read about the conquering of Everest by Tenzing Norgay and Sir Edmund Hillary, a New Zealand adventurer in his early 20s, a WW-II veteran and world-class mountaineer… Wait, Navarone… Was that character’s name the same? I went back to The Guns of Navarone and realized MacLean had named his hero Mallory, not Hillary, but it became clear Mallory was patterned upon the gentleman from New Zealand. Interesting, especially since I thought this ‘semi-verisimilitude’ worked better in The Guns of Navarone than it did it did in Shimmer. Why? At the time of MacLean's writing, Sir Edmund Hillary was still alive. While one can legitimately refer to a living public person, casting them as a full-fledged character would be a highly dubious undertaking. Alistair MacLean simply used Hillary as a prototype. In Shimmer, David Morrell mostly alluded to Deacon in bits of semi-historical trivia. Since references to the real James Dean would have served equally well– no, better since the audience might have learned something– why didn’t the author simply name the actual person? I can’t answer for the author, but beginning writers might find the choice confusing. A Facebook self-publishing group is convinced HUGE LEGAL BARRIERS don’t allow mention of any real person at all, not Albert Einstein nor Martin Luther King or a not-so-real Ronald McDonald, without invoking lawsuits and huge fees, and God help them if they whisper the name Elvis™ or Marilyn™, intellectual properties owned by The National Enquirer. They know this because a cousin of an aunt whose friend worked in a cocktail lounge and wrote about JFK suffered CIA reprisals and, ratted out by ‘traditional publishers’, had to pull her book off Amazon. Okay, I exaggerate… slightly. Writers are pretty safe referring to public figures as long as they stop short of outright libel. But I also suggest keeping one’s biases in check. I recall a novel that depicted Jimmy Carter improbably abusing White House servants, a political prejudice where an author’s distaste became authorial bad taste. So what’s your take? If an author wants to refer to historical events and persons, should they fabricate pseudonyms for real people? And if so, why? Leigh, I am reminded of the fate of regency romance writers: every reader of that subgenre knows all there is to know about gowns of that time (exactly how many buttons down the back etc, what gloves worn when)and mannerisms of the time, such that if the author makes a wee mistake, a bunch of angry letters follow. I think, that if you use real characters, you have to use the same care: there will be people in the know watching to see that you portray the person correctly, and waiting for you to make a mistake. It's a risk. Good point, Melodie, and not just regency readers. My romance writer/reader friend Sharon caught an error that stopped her cold when the action moved to the back seat of a car she well knew… and one of her favorite authors didn't. Pat and I have been listening to Ken Follett's Century Trilogy. In the third volume Edge of Eternity he has JFK impregnating one of the book's fictional characters and then insisting on her getting an abortion. I am a little incredulous (and I'm a lawyer!) as to how he can get away with that. Dale, that would have made Barry Goldwater’s cause of action seem tepid. Of course it helps if the target of one’s bile is dead. Good example, Dale. I just finished Edge of Eternity, and that crossed my mind as well. Maybe the more public the figure the more leeway you have. And, as Leigh said, the person being maligned is deceased. Leigh, I think it all comes down to a person’s interpretation of what he or she is reading. You may use a celebrity’s name in a story and think you have written something perfectly acceptable, but another person may interpret it differently. I wouldn’t want die-hard fans bombarding me with nasty comments. I agree with Melodie when she says it’s a risk. Well, Tudormania proves that you can write ANYTHING about ANYBODY as long as they've been dead LONG ENOUGH. Maybe that's the key. Pick someone who's been dead for more than 500 years and you can do anything you want with them. Example: Susan Howatch used Henry II & Eleanor of Aquitaine & family as the source characters in "Penmarric", Edward I & II in "Cashelmara", Edward III-Henry V in "The Wheel of Fortune", and Julius Caesar, Octavian, Marc Antony and Cleopatra in "The Rich are Different." My friend Sharon gently pointed out my wording above could have been better. I meant to say she was familiar with the car in question, not the back seat. See what happens when we use real names? John, you're absolutely right. Private figures in North America have considerably more protection than public figures, who must grin and bear more scrutiny. The UK has gone the opposite direction by affording royals and government figures special protection. In fact, there is presently a row because the British government is punishing the press for outing certain officials, part of it a backlash against News of the World. As the media has pointed out, murderers are guaranteed a speedy trial, but newsmen and women have had indictments drag out 3 and 4 years. Vicki, that's a good point. How many times have we thought we're honoring someone only to have a compliment taken the wrong way? Sometimes you can't take back the stray word. Eve, I think 500 years is a safe bet except when it comes to religious prejudice, which seems to have no expiration date. I imagine God shaking His head at the short supply of tolerance and forgiveness. ABA, I agree, but are you suggesting zombies aren't real? The name Dean and Deacon can both be derived from the Latin word, "decanus". Morrell was being clever. Good for him. David, I hadn't considered that until you mentioned it. Indeed clever! I know that when Kris Rusch/Nelscott writes using real people like Martin Luther King, Jr., she only uses words directly attributable to him through newspaper articles, speeches, etc. After all, his descendants, fans, and estate live on. That's the safest route.